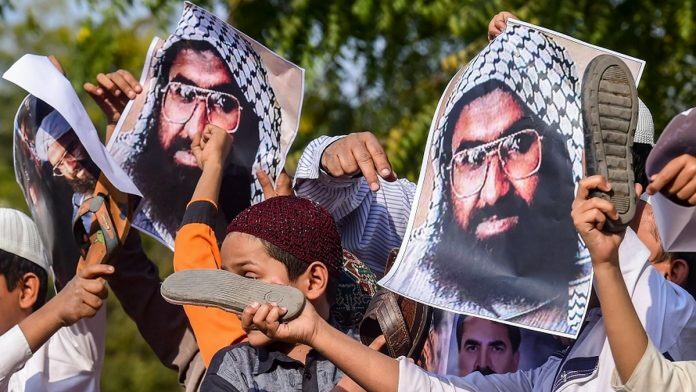 New Delhi: India will show patience with China for “as long as it takes” but will not compromise its position on terrorism, government sources said Saturday, days after China blocked a fresh move at the UN to designate Jaish-e-Mohammed chief Masood Azhar as a global terrorist. China has to resolve certain issues with Pakistan though it has adequate information that certain terror groups are operating from Pakistani soil and they are against Chinese interests as well, sources said. It was for China to resolve the issues with Pakistan, and India will show patience on it, they said, adding New Delhi has shared evidence against Azhar with all the UN Security members including China. On Wednesday, China for the fourth time blocked the bid in the UN Security Council to designate Azhar by putting a technical hold on the proposal. The Chinese move was termed “disappointing” by India. Sources said India was “cautiously” confident that eventually Azhar will get listed as it has a solid case against the JeM chief. India is not going to make any compromise or cut any deal with any member nation of the UN Security Council or UN Sanctions Committee on designating Azhar as global terrorists, sources said, adding New Delhi is ready for a long-haul on the issue. They said 14 out of the 15 members of the UN Security Council (UNSC) supported India on the issue while seven members were co-sponsoring the resolution to list Azhar. India will not rest until he is proscribed by the UN, they said. The fresh proposal to designate Azhar under the 1267 Al Qaeda Sanctions Committee of the UN Security Council was moved by France, the UK and the US, in the wake of the Pulwama terror attack in which 40 CRPF personnel were killed. Sources said terrorism was an issue which is not-negotiable for India and if China needed more time, New Delhi was ready to wait. They said India was not going to approach the UN Security Council on the issue of Azhar and that if there was any other option to list Azhar, then it was for the members of the powerful body to explore. They also ruled out the possibility of any mediation by any country to resolve issues between India and Pakistan. In 2009, India moved a proposal by itself to designate Azhar. In 2016 again India moved the proposal with the P3 – the United States, the United Kingdom and France in the UN’s 1267 Sanctions Committee to ban Azhar, also the mastermind of the attack on the air base in Pathankot in January, 2016.